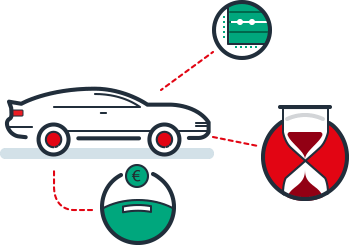 Fexco Asset Finance provides an affordable, easy and flexible car finance solution enabling customers across Ireland to secure car loans to purchase their next vehicle. Hire purchase is an agreement where Fexco Asset Finance buys the vehicle on your behalf and hires it to you for an agreed period. You will normally pay an initial deposit and subsequently pay off the entire value of the vehicle over agreed monthly instalments. When all the instalments are paid, the hire purchase agreement ends and you own the vehicle. You have the comfort of knowing what you will be paying for the duration of the agreement thus safeguarding cash flow and other credit lines. We provide tailor-made repayment schedules that work for you. Hire purchase agreements can be arranged for different durations e.g. 2, 3 or 5 years. We reply to all queries promptly and can make decisions quickly to release funds within days of a hire purchase agreement being made. We also work with consumers purchasing cars from the UK. A hire purchase loan requires just a small, initial deposit thus ensuring you can receive your car or asset promptly. Secure the finance to fund your next vehicle. Fill in the details below and one of our auto finance specialists will contact you to discuss your specific requirements. Contact us now to discuss a flexible funding solution to finance your next vehicle.